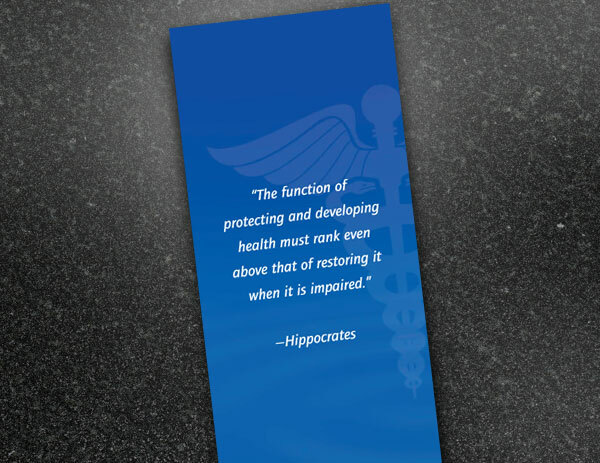 These are the opening paragraphs of the brochure ClubMD contacted the Arion Group to create for promotion of their revolutionary health care service. 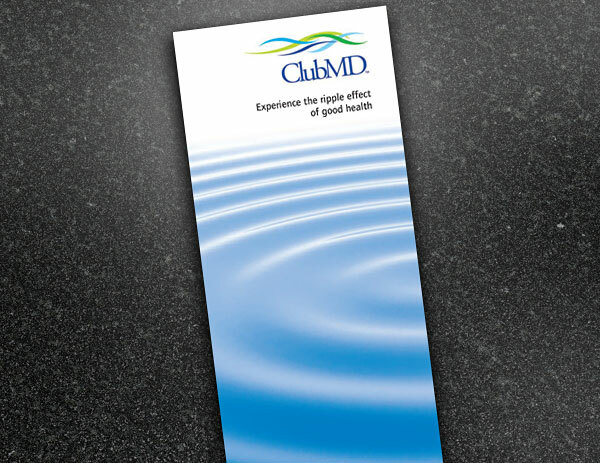 ClubMD challenged patients to take charge of their health and helped them focus on nutrition and fitness to prevent problems. 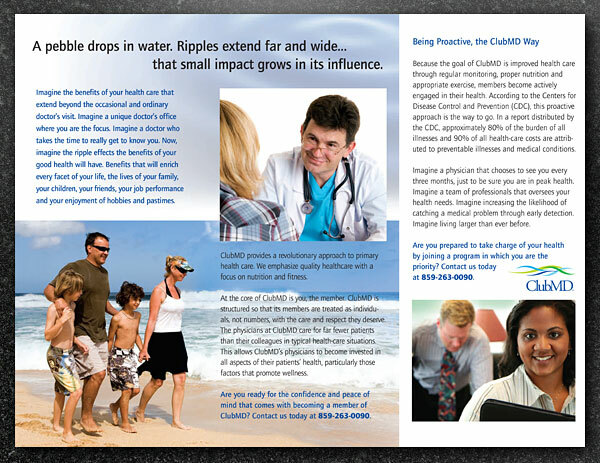 We used the image of rippling water on the cover of the brochure, and interspersed photos of healthy patients enjoying their lives throughout the piece. 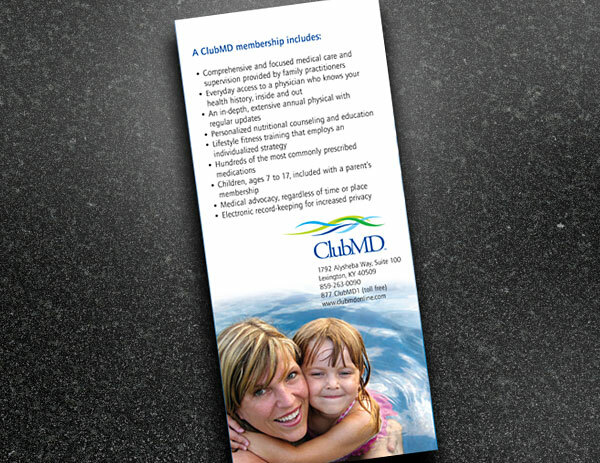 Services included in membership to ClubMD were featured prominently on the back cover.